In the creation process, I merely thought of messing with fleeting moments –the flight of a raven and the exhale of breath. I didn’t think they could mix in such an impactful way. I was supposed to represent longing, the desire. 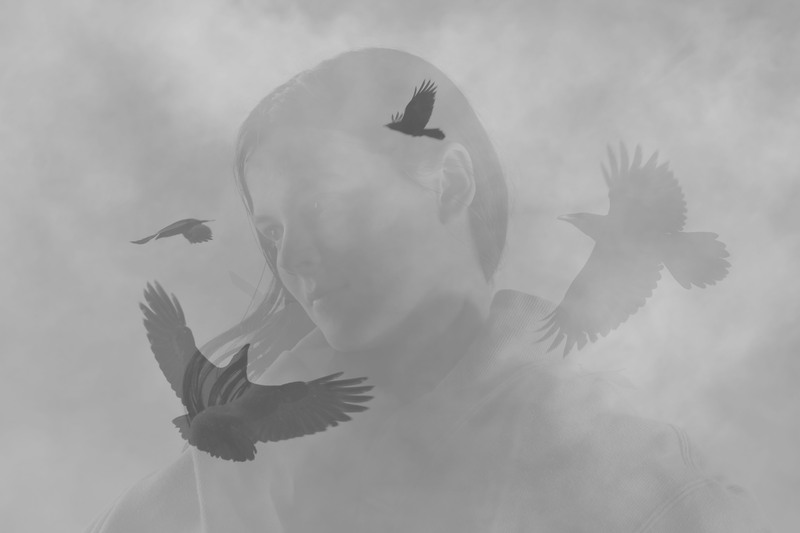 A raven, who can fly anywhere it chooses, and myself, grounded with the yearning to fly. It’s a moment between pupil and master. It’s a moment where you teach me how to fly.